These super delicious and easy to cook grilled chicken fillets are one of Jen's favourite quick and easy healthy meals. Paired with rice, sauteed Asian greens or a simple salad they're the perfect way to finish off a busy day with minimal fuss and maximum taste. With only 5 ingredients, this recipe serves 4 so it's perfect for a family dinner or part of a weekly meal-prep. Preheat oven to 180C. Line baking tray with parchment paper and set aside. Bake for 25 to 30 minutes and serve immediately with your choice of rice or salad. 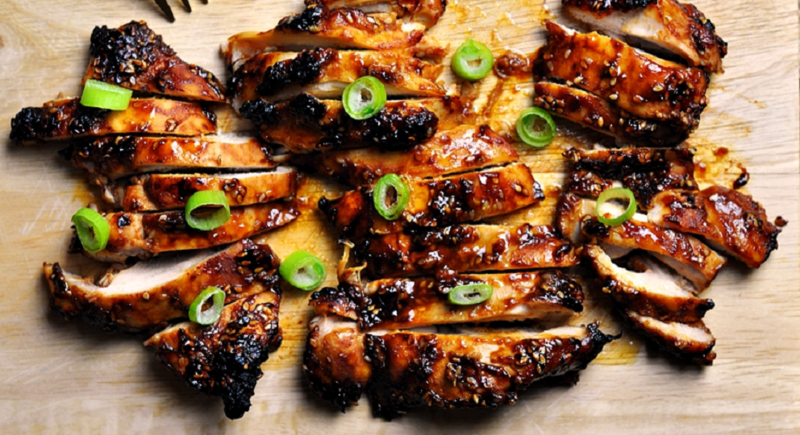 Tip: Coat the measuring spoon with sesame oil so that the sweet soy sauce will slide off easily.